I've noticed a lot more bloggers going full time recently and I think that's a bloomin brilliant thing. Its fantastic to see so many bloggers doing so well for themselves and their hard work paying off. I know lots of people can get funny over bloggers getting free samples / earning money but I see it as a great thing - it means bloggers can now turn the hobby they love into a paid full time job and provide us with more regular and varied content. 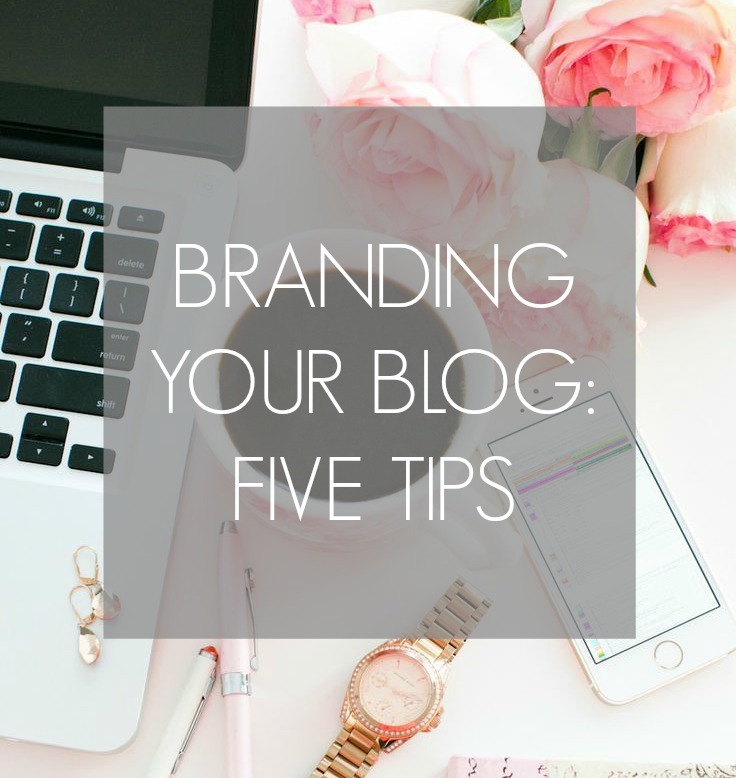 Now although I still work full time and have no plans to become a full time blogger, it is something I've thought about so I thought I'd put together a little post with some tips for branding your blog and making it look more professional. After all, blogs are like an online CV and showcase the work you can do / the kind of person you are so while I'm sure we all want to ensure they're fun and not taken too seriously, its always good to tidy any rough edges and ensure you're putting yourself across in the best light. This is something I've been meaning to do for a while now as my friend who works in SEO said is super important and has a whole host of benefits. I also think it instantly makes a blog look more professional. I'm not sure why it makes such a difference but if a blog ends in .blogspot.co.uk, it looks more amateur than a simple .co.uk or .com. There's lots of website hosting services out there, including 34sp.com and they're all easy to sign up to and affordable. I just need to pull my finger out and actually do it now! I've said it before in my other blogging tips and advice posts but its SO important - if you want to be taken seriously as a blogger, your blog has to be visually pleasing. I'd advise making everything very clear and easy to navigate to give your readers the best experience possible. I'm not saying you shouldn't inject your personality into your blog as that's what blogging is all about after all but perhaps consider a few basics like a white background, easy to read font and large images. Attending blogger events / press days is a great way to get yourself out there and make some new contacts. I used to be really scared of attending any kind of event related to blogging but since moving to Manchester, I've attended a few and they're not as scary as I thought they would be. In fact, they're quite the opposite. They give you the chance to meet fellow bloggers and people within the PR / Marketing industry. As well as making some new blogging friends, its always good to have PR contacts too as they can send you press releases to let you know about upcoming launches or events. Following on from the last point, getting some business cards printed is a great idea as this means when you attend events, you can hand them out and hopefully encourage people to visit your site. It also shows that you're dedicated to your blog and are proud of it. Its important to ensure your business cards look professional but fun at the same time - they should be an introduction to you and what you're all about including the link to your blog and social media usernames. I think these cards from Moo are fab and I'm planning to get some printed myself soon! If you want to be taken seriously as a blogger, I think its important to always remain consistent. By this I mean its important to have a regular posting schedule and your own way of doing things. That's not to say you can't mix things up now and then but find a writing style and posting schedule that suits you and try your best to stick with it. I've changed the layout of my blog and the way I take my photos multiple times now as I feel this keeps things fresh but one thing that has always remained the same is that my posts are always very detailed as they're the kind of blog posts I like to read myself. I also try to post at least three times a week - sometimes more if I'm feeling particularly organised. I don't like the idea of going for weeks or months without posting as my readers have come to expect new content on a weekly basis. *Wrote in collaboration with 34SP. These are great tips Kayleigh. I definitely need to update my business cards because they're old & don't reflect the vision I'm after. I agree it's amazing seeing more & more bloggers going full time & turning it into their career! I dream of being able to blog full time, but making that leap is terrifying! 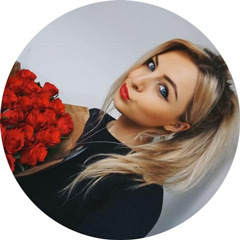 I totally agree with keeping your voice and writing style consistent, readers become subscribers because they love your content, that shouldn't be something you change too frequently. I bought a domain name pretty early on, it does look so much more professional! Love this post! Business cards & buying my domain are on my to do list...but domain buying makes it seem so serious! Those are very good tips. I just got my own domain and you should really do it. I just feel like it is more professional even though I haven't even launched it yet. Next step is to get some business cards. You should do a post about designing yours! Thanks for this ! These were great tips and motivation for us newer bloggers. Really great tips! I plan on spending a lot more time on my blog this year and hopefully having my blog grow! I'll have to look into some blogger events in my area, it seems like a great opportunity! Love these tips, thank you so much. I've actually been on the fence about buying my own domain name for months now. But I agree, it does give your blog that little extra 'pro' look. Maybe I should finally take the plunge? Some great tips here, thanks for sharing! Can I ask, how do you get to find out about blogger or press events in Manchester? I'm based here to but have yet to go to any! Thanks! Good tips :) how do you find events and meets? I love it when successful bloggers do posts like this, I think they make great guidance and encouragement for new bloggers like myself. This is one of the best I have read, I've already signed up to some sites to hear about events and I'm now aiming to have my own domain and make some business cards. This has been really helpful, thank you so much!!! If anyone wants to check out my blog and give me a few thoughts, I would really appreciate it. Really great tips! I know some super successful bloggers who don't have a domain name, but I guess it's up to personal preference! Great tips Kayleigh! I think the most challenging part is networking though... I've just started a blog and try to get it out there is sooooo scary! Thanks for tips really handy, its hard to find ways to get new followers so this was very useful. Thank you so much this was such an eye opener! I love your blogs, you are very inspirational. Thank you for the tips! I'm definitely going to be looking into events to network! Another tip would be branding your writing, in a sense, by writing and talking to your readers in a way that you find interesting and personable :) Great tips Kayleigh.